Q. 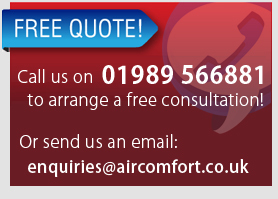 How can I work out what size Air Conditioning unit I need? A. Measure the area you wish to cool and use our online calculator. 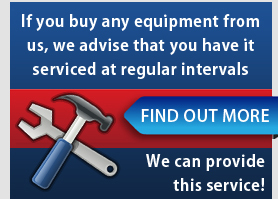 Or alternatively get in touch with us and we will be happy to work it out and advise you on the best solution. Q. How do I know what type of Air Conditioning unit I need? A. This depends on a lot of factors such as size of area, number of doors and windows, number of people in the area, aspect of the room and machinery (computers etc). As a rough rule of thumb you will need approximately 130kw of cooling per square metre. Q. What is a Split Cooling System? A. The Split Cooling Systems work in two parts. The internal part contains all of the refrigerant workings to cool the area and disposes of the heat via the external part. Even so, all air conditioning units must have access to the outside. Q. Do I need to keep the doors and windows open whilst the De-humidifier is operating? work efficiently. Providing air movement with a fan can also help to speed up the drying process. Q. How will I know when the De-humidifer has dried the area? A. The only sure way is by checking with a damp meter, however, by checking and emptying the container on a regular basis you should see that the container is filling less and less until you are getting an acceptable level of moisture. Do De-humidifiers cost much to run? A. Typically, a small De-humidifier will use 0.5kw per hour, and a large De-humidifier will use approximately 1kw per hour. So it depends on how much you pay for your electricity. Q. How do I work out what size Heater I need? A. Measure the area you wish to heat and use our online calculator. Or give us a call and we will be happy to work it out and advise you on the best solution. Q. What is the difference between Direct Fired and Indirect Fired Heaters? A. Direct Fired Heaters are best suited to areas that require large volumes of warm air such as factories, warehouses and farm buildings. Although some insurance companies will not cover their usage due to an unguarded flame being present, and fumes can be a problem in poorly ventilated areas. Indirect Fired Heaters are a little more sophisticated in their design. They can be sited outside, and via flexible ducting will deliver huge volumes of clean, dry fume free heat. Ideal for marquees, food preparation areas, shops, showrooms and factories.